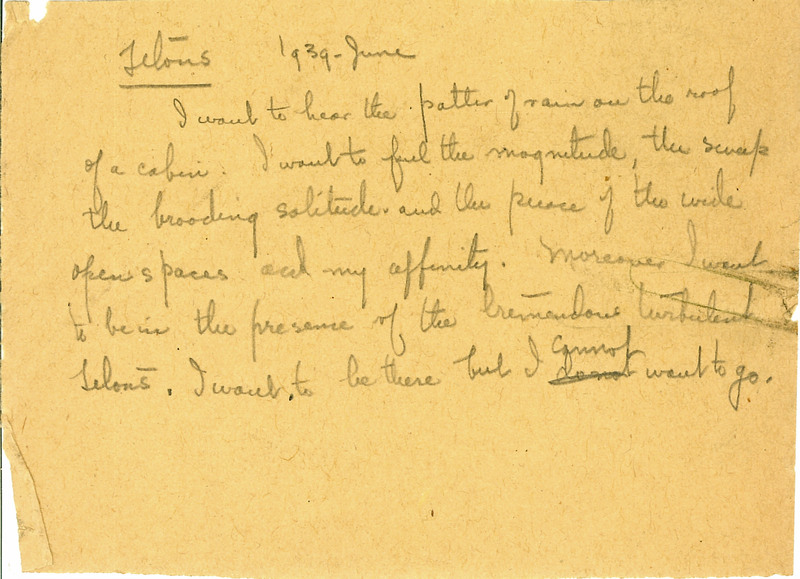 Telous 1939-June I want to hear the patter of rain on the roof of a cabin. I want to fuel the magnitude, the scrap the brooding solitude. And the peace of the wide open spaces and my affinity. Moreover I want to be in the presence of the tremendous turbulent Telous. I want to be there that I cannot want to go.